2014 was arguably The Year of the Crossover Event, with mash-ups happening all over the small screen with superheroes and animated comedies, as well as in the comic book world. 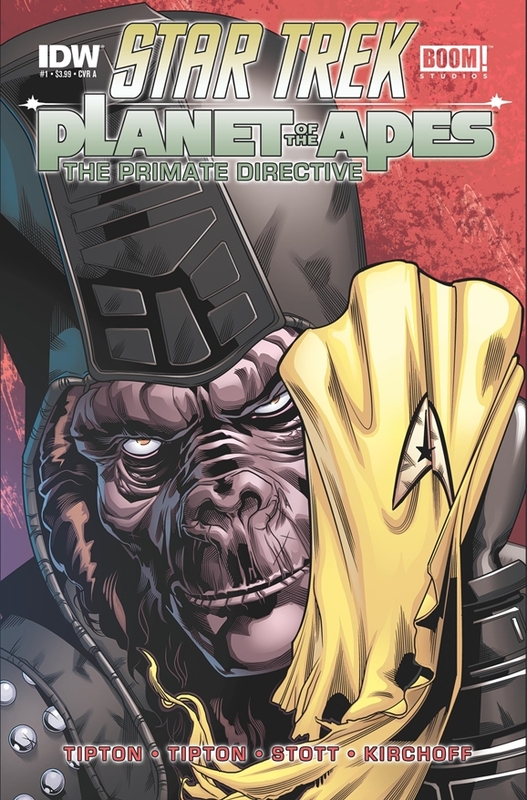 And now we have the first issue of Star Trek/Planet of the Apes: The Primate Directive, the new series from the pop culture loving folks at IDW Publishing and BOOM! Studios. The best way that someone could describe this comic is “Planet of the Apes meets Star Trek…” and then just shrug and smile as if you’re the only one in the room. But really, this is a Star Trek comic — a delightful one, mind you — that has some damned dirty apes right at the beginning and right at the end, in true Issue #1 fashion. That’s my only problem with this particular release, that it didn’t come out as either a double issue or that this story wasn’t told in graphic novel form. But considering my reasoning behind this is to get a lot more of this story, I guess I can’t fault it. I’m beamed up and whatnot. What Really Happened At The End Of Tim Burton’s Planet Of The Apes? Tim Burton has made a lot of odd films in his career, but they’re generally easier to understand than most directors’ films, with mostly transparent influences and plot mechanics. 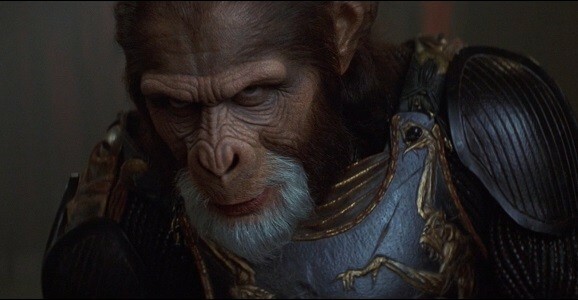 But when he remade Planet of the Apes in 2001, he confounded many a fan. 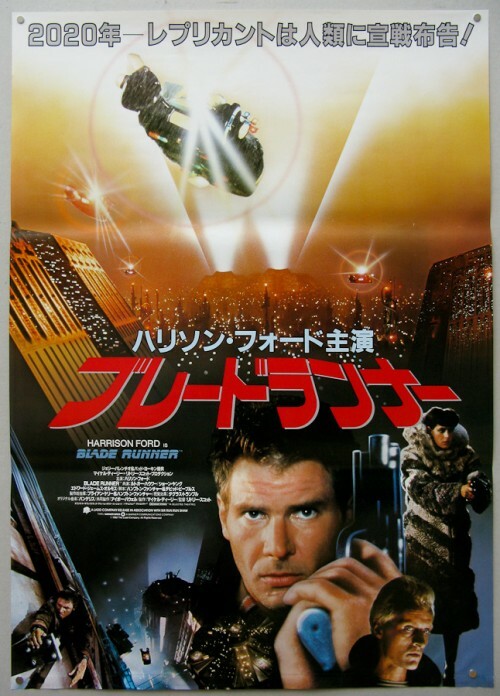 Not only by delivering a watered-down remake that didn’t do much to revolutionize the concept, but by giving audiences an ending that didn’t make a whole lot of sense, and which included some of the goofiest Ape Cops that Hollywood has ever known. So what was that all about? Dawn of the Planet of the Apes hit the home video market this week, and with all of that, there’s been a lot of focus on the future of the rebooted franchise. And with all of the talk of star Andy Serkis possibly being nominated for end-of-the-year awards for his performance, despite the fact that he delivers his whole turn from beneath layers and layers of digital camouflage, there’s been even more to discuss. Matt Reeves directed Dawn, and will be back for the as-yet-untitled third chapter, and has been sharing vague glimpses at what we can expect to see. One of the most stunning moments in Dawn is when Caesar (Serkis) sends Koba (Toby Kebbell) to his death. 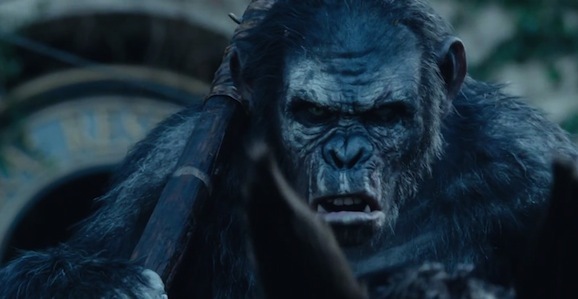 The apes are much more developed as characters than their human counterparts, and this is one of the most emotional moments of the film, especially for a culture where the most defining, concrete rule is “Ape shall not kill ape.” This is a big decision for Caesar, and something that is going to dog the leader as long as he survives, especially as he declares that Koba is no longer an ape, removing his connection to the community, essentially stripping him of any identity. Talking to JoBlo, Reeves shared his thoughts on the continuing impact of that decision. Even before Dawn of the Planet of the Apes was a rousing box office success and garnered Oscar talk for Andy Serkis, though his performance is all motion capture, we already knew that we were going another installment in the revamped franchise. 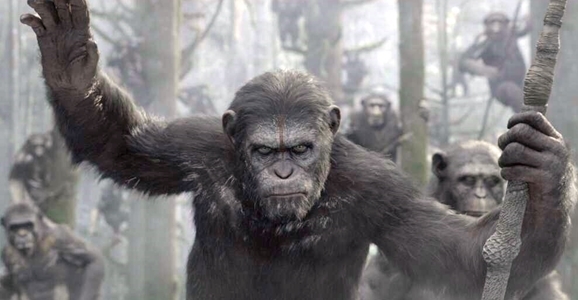 Planet of the Apes 3 is already scheduled for release on July 29, 2016, and we couldn’t be more pumped. But that may not be all we have to look forward to. While many expected the third film to be the close of a trilogy, it’s looking like there may be much more in store. 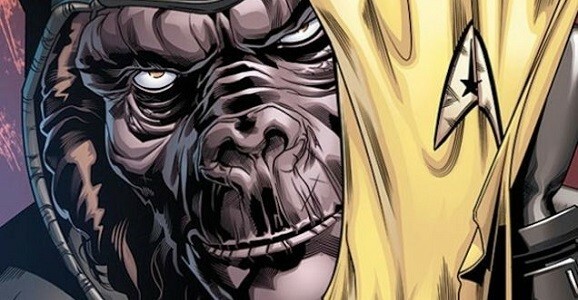 Talking to MTV, Serkis had a lot to say about the next chapter in the Apes saga. He started off talking about the as yet untitled next installment, and what it might look like. For those expecting to a significant jump forward in time, it doesn’t look like we’re going to see a world completely dominated by intelligent apes just yet.